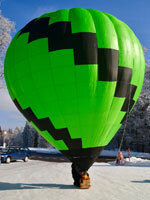 20m3 model balloon envelope Egg special shape, built 2012, used for only 7 flights. 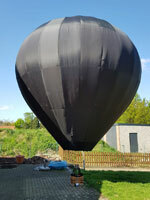 50m3 model balloon envelope, built 2018, made from old but very good condition fabric. 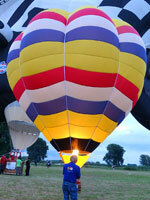 Flown for only 2 flights. Dark green nylon and black nomex. Stainless steel flying wires. No scoop included. 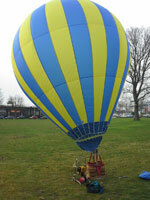 100m3 model balloon envelope, built 2015, 4 hrs flown. Envelope bag included. 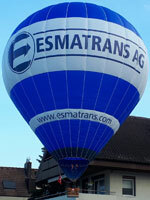 80m3 model balloon envelope, built 2018, 10 starts. Bag included. 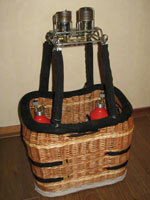 Boelling model balloon bottom end with double burner, basket dimensions 32 x 24 x 26 cm, with 4 0.5 liter cylinders, all in perfect working and top condition. No control box included. 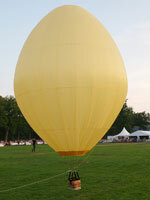 60 m3 model balloon envelope, built 2009, with scoop and envelope bag. In top condition.